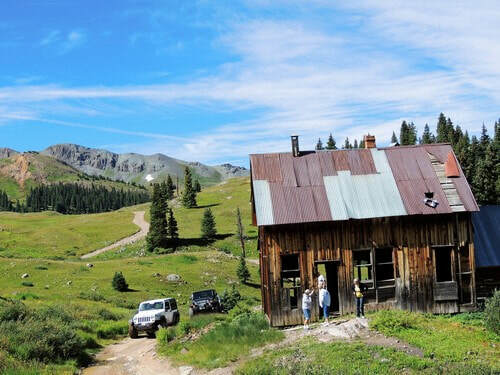 ​Mineral Point has a series of Jeep trails through the tundra at almost 12,000', one small lake that is a good spot for lunch and the remains of the San Juan Chief Mill. 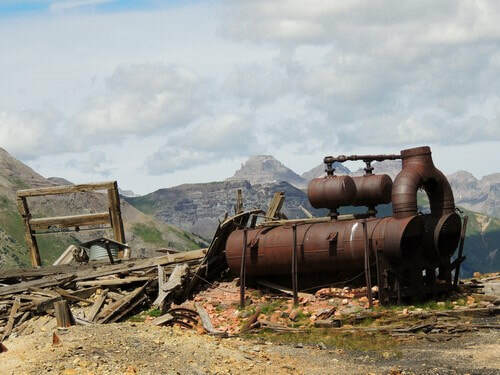 Mineral Point was a town founded in 1873 and was named for a quartz deposit in the area. The town was located southwest of this track, across the wet ground where the road has been closed. The major attraction in this area is the San Juan Chief Mill and the associated office and house. 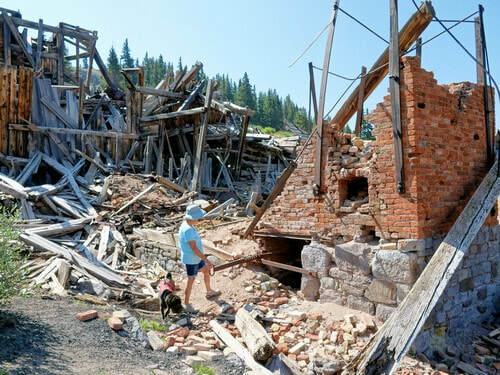 I was not able to find a lot of information about the mill, and some of it was conflicting. If you have reliable information please contact me. 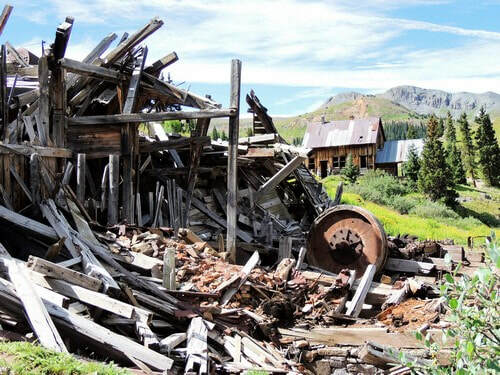 This mill seems to have processed ore from surrounding mines, but not from the San Juan Chief Mine. The 5 wooden cisterns may have been amalgamation tanks. They are certainly unusual. The brick structure was described as both a kiln and a roasting oven. 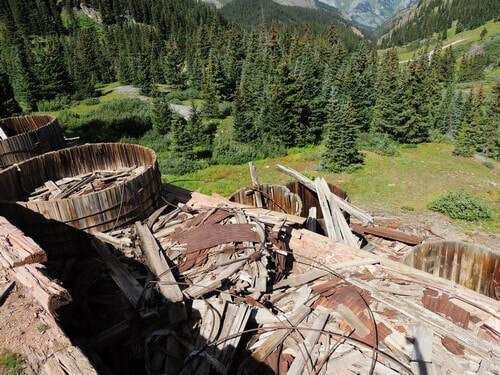 The ruins contain a flywheel cam and push rods from the stamp mill (not pictured). Be sure to take the tracks beyond the old house. 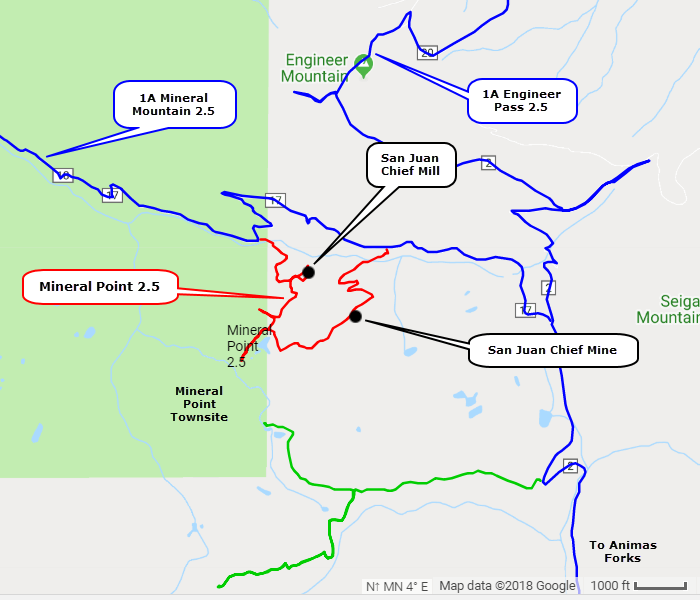 There is interesting country, a lake and a double boiler at the site of the San Juan Chief Mine.